The Attack Democrat--Nothing Conservative Here: How do the June job numbers affect Obama’s chance for re-election? How do the June job numbers affect Obama’s chance for re-election? If the Bureau of Labor Statistics’ count is right (and there may be a question about that, see my previous post), how do the poor job creation numbers for June impact Obama’s chance of being re-elected? Answer: Not much. 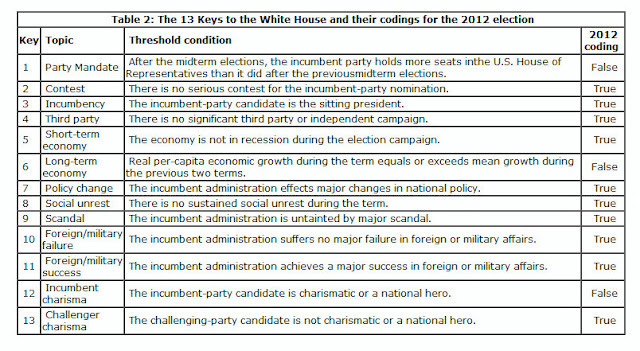 Plus, the most reliable presidential election forecasting model still gives the nod to Obama. 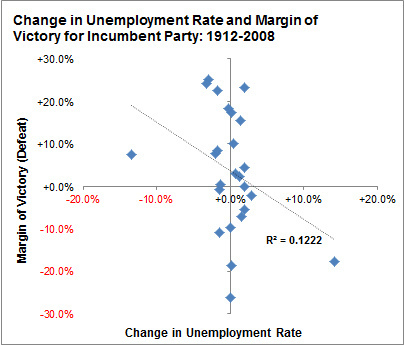 So, can Obama and his supporters just ignore unemployment? That wouldn’t be smart. The status of the economy, including jobs, are a factor. It is just they are ONE factor among many. 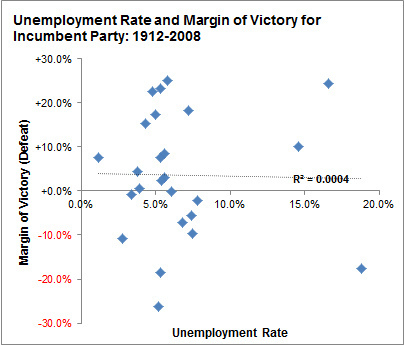 Predictions are based on an index comprised of the number of false or negative keys: When five or fewer keys are false, the incumbent party wins; when any six or more are false, the challenging party wins. Right now the Keys Model predicts that Obama will win re-election with 55% of the popular vote. 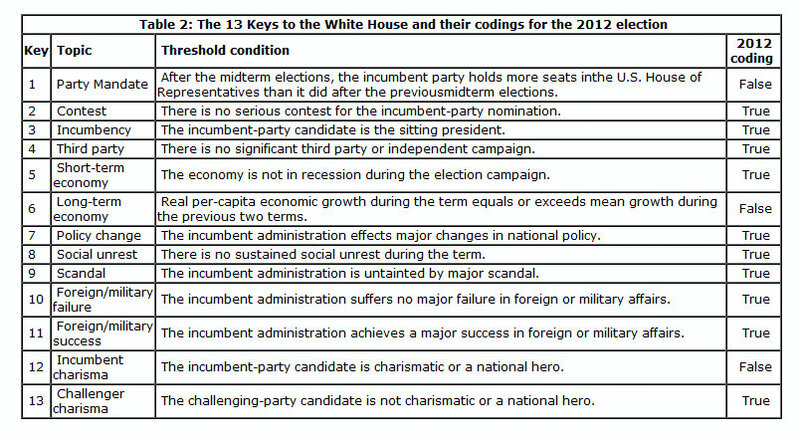 Note, however, that seven of the 13 keys cannot change and/or are very unlikely to change. Six keys are in play. Remember the Keys Rule: When five or fewer keys are false, the incumbent party wins; when any six or more are false, the challenging party wins. That means that at least THREE of the SIX Keys in play have to switch from TRUE to FALSE for Obama to lose. That is possible but not likely. BOTTOM LINE: In spite of the bad jobs numbers for June, Obama still has a very good chance of being re-elected.